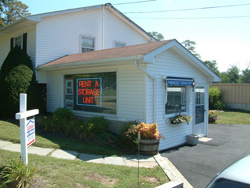 Guardian Self Storage has a location just outside the charming village of Pleasant Valley, right on Route 44. This property offers both easy drive up access to both traditional and temperature controlled storage rooms, with 24/7 access. Just minutes from the Taconic Parkway, we are an easy drive from Millbrook, Dover Plains and Salt Point.